Happy, happy Mani Monday my friends!! My nails have been SEVERAL different colors this week, but this mani is the one I stopped to snap a quick pic of, and wanted to share with all of you. 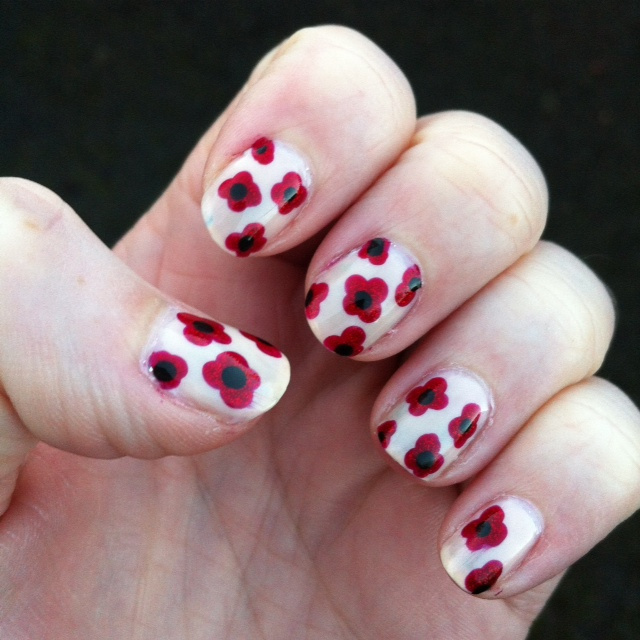 Lots of great link ups last week, as always, but I especially loved Ali's amazing poppies! !